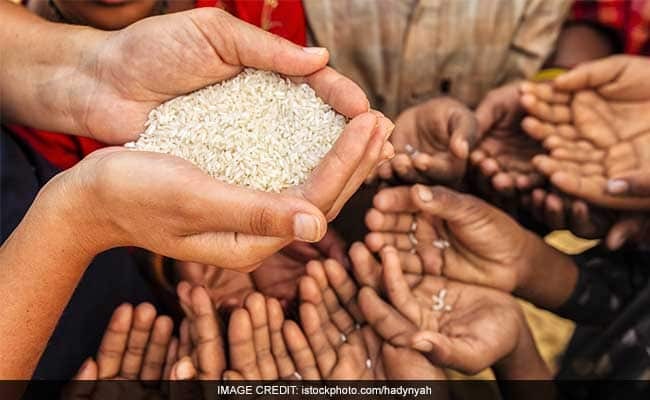 Over 270 million people in India moved out of poverty in the decade since 2005-06, the 2018 global Multidimensional Poverty Index released by the UN noted. The 2018 global Multidimensional Poverty Index (MPI) released by the United Nations Development Programme (UNDP) and the Oxford Poverty and Human Development Initiative (OPHI) said that about 1.3 billion people live in multidimensional poverty globally. "Although the level of poverty - particularly in children - is staggering so is the progress that can be made in tackling it. In India alone some 271 million have escaped multidimensional poverty in just ten years," UNDP Administrator Achim Steiner said. "The Multidimensional Poverty Index gives insights that are vital for understanding the many ways in which people experience poverty, and it provides a new perspective on the scale and nature of global poverty while reminding us that eliminating it in all its forms is far from impossible," he said. Although similar comparisons over time have not yet been calculated for other countries, the latest information from UNDP's Human Development Index shows significant development progress in all regions, including many Sub-Saharan African countries. The estimates further showed that half of all people living in povertyare younger than 18 years old. The new figures show that in 104 primarily low and middle-income countries, 662 million children are considered multi-dimensionally poor. Those who are deprived in at least of a third of the MPI's components are defined as multi-dimensionally poor. Multidimensional poverty is found in all developing regions of the world, but it is particularly acute - and significant - in Sub-Saharan Africa and South Asia. Figures for the other regions are less severe and range from 19 per cent of people in the Arab States living in multidimensional poverty, to two per cent of those living in countries covered by the dataset in Europe and Central Asia. Within countries there is also considerable disparities. The 2018 MPI is available for 1,101 subnational regions showing within-country variations in multidimensional poverty levels for 87 countries. The latest data also reveals the vast majority - 1.1 billion - of the multidimensional poor live in rural areas around the world, where poverty rates, at 36 per cent, are four times higher than among those living in urban areas. "The Multidimensional Poverty Index is a powerful tool for examining global poverty and communicating useful facts. Not only does it allow us to understand how different countries are faring in their fight against poverty, but it helps us to better understand who the poor are, where they are and the many different ways in which they experience poverty," OPHI Director Sabina Alkire said. Traditional poverty measures - often calculated by numbers of people who earn less than USD 1.90 a day - shed light on how little people earn but not on whether or how they experience poverty in their day-to-day lives. The MPI provides a complementary picture of poverty and how it impacts people across the world. While the MPI's core data look at those who are poor, and the subset who are severely poor, the numbers also look at those very close to becoming poor. These people, while not quite multi-dimensionally poor, are living precariously and struggling to remain above the poverty line.